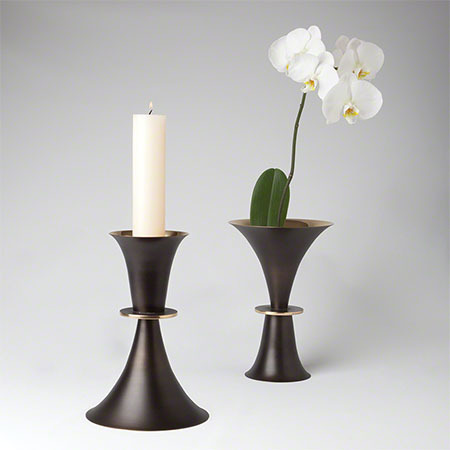 A classic silhouette functions as a candleholder or a vase when inverted. Expertly crafted from one of the world's finest factories. Polished brass interior; bronze-finished exterior. Holds 2″ pillar candle (sold separately).